"This was a great service. 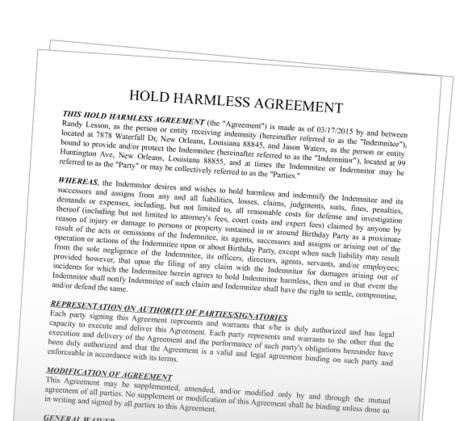 I was able to create and print out my Hold Harmless Agreement in just 5 minutes. The step by step process was a breeze. Thanks again!" A Hold Harmless Agreement is used to protect one party from liability due to the actions of another party. It is typically used in situation where services are being provided, a party is using the property of another, or when a party is participating in an activity hosted by another.